Sultan Mohammad Asghar Ali son of Sultan Mohammad Abdul Aziz son of Sultan Fateh Mohammad son of Sultan Ghulam Rasool son of Sultan Ghulam Meeran son of Sultan Wali Mohammad son of Sultan Noor Mohammad son of Sultan Mohammad Husayn son of Sultan Wali Mohammad son of Sultan Bahoo. Through Sultan Bahoo, his lineage ultimately reaches Ali ibn Abi Talib. Sultan Mohammad Asghar Ali’s father Sultan-ul-Auliya Sultan Mohammad Abdul Aziz (may Allah bless him) was also his spiritual guide. 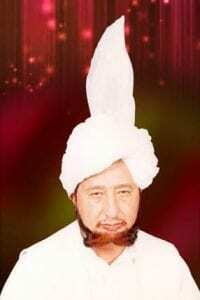 He was the possessor of Divine Trust and 29th Shaikh of Sarwari Qadri order. Sultan Abdul Aziz got the Trust of Faqr from Pir Bahadur Ali Shah and transferred it to his beloved son. Name of mother of Sultan Mohammad Asghar Ali was Mehmooda Baigam. She also belonged to the family of Sultan Bahoo. Sacred face of Sultan Mohammad Asghar Ali was enlightened with the Divine light since birth. He was a perfect blend of beauty and magnificence that made him prominent among his brothers. Due to his unprecedented beauty his father and spiritual guide Sultan Abdul Aziz used to call him Chan (moon) lovingly. He had a sober personality and was the beloved of entire family owing to his eternal grand status. Sultan Mohammad Asghar Ali got his early education from Garh Maharaja. Then he passed his middle standard exams from Islamia School Jhang. Afterwards, he did his matriculation from Naushehra, Soon Valley, District Khushab. At the time of his matric examination, he was sixteen years old. During his worldly education, his father also taught him complete mystic knowledge of Sultan Bahoo’s books Ain-ul-Faqr and Shams-ul-Arifeen. After matriculation, he formally adopted path of Faqr by taking oath of allegiance at his father Sultan Abdul Aziz’s hand. Thereafter, he never parted even for a single moment from his spiritual guide till his death. Although, on the order of spiritual guide, he did construction job in Kamalia for a few days. However, soon got rid of this worldly business and devoted himself only to his spiritual guide. The enlightened soul of Sultan Abdul Aziz knew that his blessed son is stationed at highly esteemed position of Sultan-ul-Faqr. Hence, he gave special attention towards his mystic education and spiritual enhancement. Throughout his life, Sultan Mohammad Asghar Ali served and followed his father not as a father but as spiritual guide. Not a single moment of his life passed without the obedience to his spiritual guide. His spiritual guide also loved him intensely and never let him go away from his sight. Even now they are eternally resting in their graves side by side. Whatever responsibilities his spiritual guide assigned him to test and train him, he fulfilled them with unprecedented devotion. He performed the duty of making tea and food for his spiritual guide for several years. He also took care of his spiritual guide’s horses and to perform this duty he learnt everything about horses. Furthermore, Sultan Mohammad Asghar Ali performed the task of serving langar (sacred meal for visitors) prudently. He not only used to get food cooked under his supervision but also distributed it. Afterwards, he would even wash the utensils himself. Once, his spiritual guide was travelling through desert for preaching purpose. In those days electricity was not available commonly. Hence, Sultan Asghar Ali sold his car to buy a fan and generator to comfort his beloved guide. After few years, he again sold his new car in order to help Sultan Abdul Aziz built the shrine of his spiritual guide Pir Bahadur Ali Shah. He himself would get his spiritual guide perform ablution, spread prayer mat for him, get him mount and dismount horse. He himself used to take care of his spiritual guide’s health, take him to hospital and give him medicines. Moreover, when Sultan Abdul Aziz’s health did not allow him to ride a horse, he presented him a car. Here, only a few instances are mentioned to be precise. Though, the fact is that he devoted his entire life and every possession to serve his spiritual guide. Sultan Mohammad Abdul Aziz visited the shrine of his spiritual guide Pir Mohammad Bahadur Ali Shah on April 11, 1979. On Friday, April 13, 1979 (Jumada al-awwal 14, 1399 Hijri) after offering Maghrib (evening) salat he went inside the shrine. His sons Sultan Safdar Ali and Sultan Asghar Ali were with him. He sat near the grave, let Sultan Safdar Ali sit on his right and Sultan Asghar Ali on left side. Thereby, he took oath of allegiance from both sons. He placed his hands on the grave of his spiritual guide and hands of the sons upon his own hands. Afterwards, he put his own turban on the head of Sultan Safdar Ali and appointed him his junior spiritual successor. He came out of his house twenty-five days after the death of his spiritual guide. Mohammad Safdar Husayn of Chakwal was the first lucky person who came to take oath of allegiance at his hand. Thus, he started giving spiritual guidance and persuasion by accepting oath from him. Sultan Mohammad Asghar Ali was true personification of the perfect spiritual guide as described by Sultan Bahoo in his books. All attributes of Sultan-ul-Faqr manifested from him perfectly. That is to say, he never involved his disciples in the struggle of hard mystic exercises. Rather, he enlightened the rusty inwards of seekers with the light of Ism-e-Allah Zaat. Furthermore, he exalted them spiritually by the efficacy of his sacred company and perfect spiritual sight. Undoubtedly, his spiritual attention of a moment was far better than thousands of recitals and supererogatory prayers. His sight was absolutely the Divine light, whoever was blessed by his alchemic glance, became light himself. He elevated lakhs of people to the station of Divine vision and union drowning them in ocean of Divine Unity. Hence, they attained the level of annihilation in Allah (Fana Fillah) and became true Mystics by his blessing. Actually, he convinced people to focus on single Divine point. Because, when reality of that point becomes clear then there remains no need to involve in details. That Divine point is the invocation and contemplation of Ism-e-Allah Zaat. It is the law of nature to keep balance in the world. So, with increasing Satanism in world, the spiritual powers of Fakirs and Saints are also elevating. Sultan Mohammad Asghar Ali was the greatest example of these spiritual powers. Owing to his grand status and powers, he gave a boom to spirituality in this extremely materialistic world. After Sultan Bahoo, the spiritual guides of Sarwari Qadri order had been granting the first stage invocation of Ism-e-Allah Zaat. That is اَللّٰہُ ھُو (Allahu Hoo). However, Sultan Mohammad Asghar Ali made the final stage of invocation یا ھو (Ya-Hoo) common among the masses. It is the king of invocations (Sultan-ul-Azkar) and was earlier given to chosen seekers only. To spread beneficence of Ism-e-Allah Zaat, he made the way easier by granting Ism-e-Allah Zaat on first day of allegiance. Rather than involving the seekers in hard mystic exercises for years and then blessing them. Even, he granted Ism-e-Allah Zaat without oath of allegiance. He also granted Ism-e-Allah Zaat made of gold which is real Ism-e-Allah Zaat to most special seekers of Allah. His beneficence was not restricted to any place or group of people. Rather, he spread it in the entire world which is still continued through his spiritual successor Sultan-ul-Ashiqeen Sultan Mohammad Najib-ur-Rehman. On February 27, 1989 Sultan Mohammad Asghar Ali established an organization titled Islahi Jamat. Mainly, the organization aimed at spreading beneficence of Ism-e-Allah Zaat so as to invite seekers of Allah towards spiritual enhancement. Sultan Mohammad Asghar Ali strongly felt that contemporary religious scholars are only emphasizing upon the superficial aspect of religion. They have little or no knowledge about its soul. Their unnecessary attention towards superficial values has divided the nation into various sects and groups. As a result, real teachings of Islam have faded away into the darkness of sectarianism. It is high time to invite umma towards the soul of Islam i.e. inward closeness to Allah. In order to attain it, the soul must be pure of esoteric diseases like greed, vanity, pride, malice, jealousy etc. When a person’s innerself is purified, the apparent self is set right automatically. Hence, when every person of society becomes pure inwardly, the whole society is set right. Resultantly, the nation is set on the route to worldly as well as religious progress. This is the basic rule of the path of Faqr. Our Holy Prophet also changed the Arab society according to this rule and laid the foundation of a welfare state. With the same purpose Sultan Mohammad Asgar Ali established the Islahi Jamat. It had its offices in the entire country from where the seekers were directed towards the perfect spiritual guide Sultan Mohammad Asghar Ali. In December, 1999 Sultan Mohammad Asghar Ali ordered his most beloved seeker Sultan Mohammad Najib-ur-Rehman to start a monthly magazine. Its objective was also to spread the teachings of Faqr and the beneficence of Ism-e-Allah Zaat. He appointed Sultan Najib-ur-Rehman as the chief editor of this magazine by the filial appellation of Abu Al-Murtaza. Sultan Mohammad Najib-ur-Rehman published the first issue of monthly Mirat-ul-Arifeen Lahore in April, 2000. Thenceforth, he dedicatedly continued publishing Mirat-ul-Arifeen according to teachings of Faqr till the death of Sultan Mohammad Asghar Ali. In 1994, Sultan Mohammad Asghar Ali established the publication department of Islahi Jamat for spreading the beneficence of Ism-e-Allah Zaat. He appointed Saad Ameer Khan Niazi (late) as its incharge. This department started off by publishing Ain-ul-Faqr, the book of Sultan Bahoo, with Urdu translation by Saad Ameer Khan Niazi. Afterwards, this department published many translations and books. The translated books were Kaleed-ul-Tauheed (Khurd, Kalan), Nur-ul-Huda (Kalan), Shams-ul-Arifeen and Majalisa-tul-Nabi. While, the new books included Sirat-ul-Saliheen (part one & two). Sultan Mohammad Asghar Ali devoted his entire life to give spiritual education and Divine persuasion to the seekers of Allah. Every day, many people joined his sacred company and got beneficence through his spiritual sight. His benevolent company turned a lot of seekers into Mystics. People from far off places attended his spiritual meetings where he persuaded them towards invocation and contemplation of Ism-e-Allah Zaat. His spiritually effective sight cleansed their inwards and subsequently filled them with Divine light. Any true seeker of Allah who joined his company with pure intention never returned empty handed. His single glance proved sufficient to exalt the seekers to Divine presence. He never gave lengthy lectures rather inculcated righteousness into souls by his Divine attention. As, this is the unique attribute of perfect and accomplished spiritual guide according to the teachings of Sultan Bahoo. Meaning: One moment in the company of Saints and Friends of Allah is better than hundred years of sincere worship. All round the year, Sultan Mohammad Asghar Ali used to arrange countrywide spiritual gatherings of the Milad of Holy Prophet. The purpose of arranging these gatherings was to enhance love of Holy Prophet in the hearts of people. Moreover, to spread the beneficence of Ism-e-Allah Zaat. People got spiritual beneficence by attending these programs. In these celebrations, hundreds of people took oath of allegiance at his sacred hand and received blessing of Ism-e-Allah Zaat. For these ceremonies, he used to arrange a grand langar (sacred meal) that was available for all and sundry. Encomiums (naat) and eulogies were recited and the grandeur of Holy Prophet Mohammad was elaborated. In August 1997, during Milad of Holy Prophet in Ochali, Soon Sakesar valley, District Khushab, a Dervish Mohammad Ilyas (late) of Chakwal read Risala Roohi Sharif loudly on stage by permission and then announced his inspiration that Shaikh Abdul Qadir Jilani has ordered him to declare that Sultan Mohammad Asghar Ali holds the status of Sultan-ul-Faqr. In this way the sixth Sultan-ul-Faqr personality manifested in the world. Hence, the masses got to know the Sultan-ul-Faqr status of Sultan Mohammad Asghar Ali. Afterwards, a lot of seekers of Allah got confirmation of this good news through dream or by Divine inspiration. Moreover, the way he held Faqr, spread the Divine light of gnosis in this materialistic world and elevated thousands of his disciples to Divine presence is a proof that he holds the status of Sultan-ul-Faqr. The title of Sultan Mohammad Asghar Ali is Sultan-ul-Faqr in accordance to his status. It was conferred upon him from the Mohammadan Assembly. Sultan Mohammad Asghar Ali was very humble, good natured and blessed with an elevated morality. He was perfect blend of politeness, benevolence, generosity and kindness towards the poor. His faith in Allah was so strong that he never visited any ruler, minister or authoritative personality. Nor did he ever accept gifts or favours from them. He ever remained prostrated in the court of Allah and sought His Compassion and Mercy. As regards his worldly life, he was so humble that he easily mixed with people inspite of his grand status. He listened to their requests with complete attention and did whatever he could for them. Sultan Mohammad Asghar Ali was the personification of mercy for poor and destitute. His followers and disciples were mostly the poor and he loved them a lot. He always forgave mistakes of his disciples and strictly disliked publicity of others’ faults. He especially honoured relationships and was always the first one to greet. Serenity and modesty were his unique attributes. Although he was soft-natured yet the state of his majesty was such that there was complete discipline in his meetings. There prevailed a pin drop silence and nobody dared to slip away or whisper. When he passed by people, they stood in two parallel rows with great respect. He had such an exalted grandeur that the great theologians, scholars and learned people attended his meetings respectfully. His disciples have witnessed many great scholars sitting humbly with lowered eyes in front of him. Sultan Mohammad Asghar Ali spent his whole life anonymously and always avoided fame and media. He never showed any outward miracle that would bring him in limelight. However, there are infinite esoteric miracles of Sultan Mohammad Asghar Ali observed by his true seekers. His greatest miracle was that he converted lakhs of depraved people into true seekers of Allah. Plight of many wayward drunkards and womanizers changed as soon as they entered his court. Moreover, he turned many ignorant into scholars. When he ordered Saad Ameer Khan Niazi to translate books of Sultan Bahoo, he replied, “I don’t know Persian.” He again said, “Mr. Niazi! Do start it.” Then, by the grace of Sultan Mohammad Asghar Ali, he became such a translator of books of Sultan Bahoo that he excelled all others. Similarly, by the powerful sight of Sultan Asghar Ali, two of his disciples, Haji Mohammad Nawaz and Mohammad Anayatullah (late) got excellence in knowledge of Quran and its exegesis inspite of being illiterate. Sufi Allah Ditta was a butcher, having no worldly or religious knowledge. When he reached Sultan Mohammad Asghar Ali’s court he became an orator. Furthermore, he resolved the worldly issues of his disciples esoterically even before they presented them before him. It was their clear observation that he knew all about their spiritual and physical conditions. Above all, he raised the true seekers to ultimate station of Divine presence in just a blink of eye without putting them in mystic struggles. Sultan Mohammad Asghar Ali was the follower of Imam Abu Hanifa in Islamic law. That is, he belonged to the Hanafi school of thought. He considered that all four Islamic schools of thought are true. However, it is compulsory to follow any one school of thought exactly according to its spirit. AlFaqr is the path of ardent Divine love. Faqr is actually the knowledge of vision of Allah and presence of Mohammadan Assembly. The Holy Prophet said, اَلۡفَقۡرُ فَخۡرِیۡ وَالۡفَقۡرُ مِنِّی “Faqr is my pride and Faqr is from me”. Hence it is obligatory upon his every follower to acquire his pride Faqr from him. Faqr is the greatest treasure of all the treasures of Allah and only Prophet Mohammad distributes it. There are very few people who travel the path of Faqr. It is only because of their presence that the world is not reprimanded, sky rains and earth grows crops. As doomsday will approach nearer, their number will gradually decrease. Hence, when doomsday will occur, world would be empty of them. When Allah decides to torment any area, first He evacuates that region from His seekers. Their existence in world is a blessing. O people! Search them and recognize them before Allah closes the doors of repentance. Contemplation of Ism-e-Allah Zaat is the source of entire mystic knowledge. Its invocation and contemplation elevate the seeker to highest spiritual stations of Divine vision and presence of Mohammadan Assembly. No other invocation or devotional practice can grant these levels. Ism-e-Allah Zaat is the key to one’s soul. Contemplation of Ism-e-Allah Zaat removes rust from the mirror of inward, eventually making it bright and clear. Ism-e-Allah Zaat is the greatest name of Allah i.e. the Ism-e-Azam. It affects only when seeker acquires it from the perfect spiritual guide who is the possessor of Divine secret. No secret of universe remains hidden from the seeker who engraves Ism-e-Allah Zaat on his inward. Provided this Ism-e-Azam has been acquired from the perfect spiritual guide. One, who does not enliven his soul by invocation and contemplation of Ism-e-Allah Zaat, leaves the world in deprivation. Ism-e-Zaat ‘Hoo’ ( ھُو ) is the Sultan-ul-Azkar i.e. king of invocations. The seeker who has become Hoo ( ھُو ) after annihilating in Hoo, is the sultan. Whoever wants to gain vision and recognition of Allah should first of all find the Sarwari Qadri spiritual guide. Then he should seek the invocation and contemplation of Ism-e-Allah Zaat from him. Meaning: The breath which passes in oblivion is infidel. People who claim to have vision and closeness of Allah without the guidance of perfect spiritual guide are liars. They should not be trusted because in history of mysticism, no one ever reached Allah without guidance of spiritual guide. I have heard that these days true spiritual guides are rare. Instead, fraudulent and cheats are available everywhere in the guise of spiritual guides. Well! If you will seek world or heaven instead of Allah then you will be definitely deceived by such people. A true seeker who really wants proximity of Allah never becomes victim of such people. Because his protector is He (Allah) in whose search he has set out. The company of perfect spiritual guide creates Divine love in the inward of seeker. Perfect spiritual guide of Sarwari Qadri order is omnipresent and all powerful. However, the seeker ought to be sincere and true. Although a person can gain reward and spiritual ranks through worships done without the guidance of spiritual guide. However, it is impossible to gain the Divine presence, recognition and closeness of Allah without his guidance. The relation of soul and Allah is that of love. Divine love is present in the form of seed within a human being but is dormant. By invocation and contemplation of Ism-e-Allah Zaat, its inscribing practice on body and attention of spiritual guide, it becomes active. Divine love is fire which when enflamed, burns all other loves into ashes and envelops the existence of seeker. It is useless to pray Allah without His love. It is only the Divine love that grants the greatest secret of universe i.e. the vision of Allah. On the contrary, intellect denies it. It is only the Divine love that endows presence of the Mohammadan Assembly, while intellect denies it. When lover of Allah reaches the ultimacy of love, he becomes the beloved of Allah. The prayers of lover are invocation, meditation and vision of Allah. The seekers of world and hereafter cannot understand it. There is no blessing greater than vision of Allah and only the true Mystics achieve it. In order to attain vision of Allah the seeker needs light of insight instead of the physical sight. Attention of spiritual guide and contemplation of Ism-e-Allah Zaat are the source of this light. The person who does not believe in the vision of Allah is not true follower of Prophet Mohammad. He is unfortunate and is unaware of his own misfortune and depravity. Two things are required to see anything in physical world; eye sight and light from any source. If any of the two is missing, nothing can be seen. Similarly, one requires two things to see in the inward. One is the inner eye (spiritual sight) and second is the Divine light of Ism-e-Allah Zaat. Divine lights and theophanies radiate from Ism-e-Allah Zaat which bless the seeker with vision and union of Allah. Sharia means the collection of outward as well as inward knowledge of religion. Anyone who possesses only one kind of knowledge should not claim to be the possessor of sharia. I received every status by following sharia. Without following and practicing the sacred sharia completely, no one can attain any station of Faqr. The world is like a shadow. If you turn your back towards the sun, your shadow will come in front of you. If you run to catch your shadow it will run ahead and you will never be able to catch it. However, if you turn your back to your shadow and walk facing the sun, the shadow will run after you. Similarly, if you turn your back towards Allah and run after the world, you can never have it. Though if you walk towards Allah turning back from the world, it will run after you. Live in world like a wild duck lives in water. It does not drown even while living in water. Live in world like a boat floats on water. Consider the boat as your innerself and the water as world. The boat is safe unless the water enters it. When water enters the boat, it definitely sinks. Therefore, save yourself from the world and its love. The truthfulness and purity of intention in the path of Faqr make years’ journey covered in months. The core of Faqr is to submit to the will of Allah in every condition. Whether it is calamity or ease, grief or comfort, illness or health, hunger or satiation, honour or humiliation. Only such submission is accepted and approved in the court of Allah. Only that person deserves to have vision of Allah who surrenders sincerely and truthfully to the will of Allah. Thus, when troubles and pains befall him, he faces them without any complaint. How could everything happen according to your wish when you are not even born of your own choice! Allah has opened the way towards Himself only through humility and humbleness. Humility acts as a strong shelter while facing the hardships and trials which come in the way of Allah. The person who comes in the court of Allah with humility never returns empty handed. Humility is inevitable to achieve the levels of Divine vision, annihilation and immortality with Allah. The more a person is humble the more he is beloved in the court of Allah. Humility is the strongest shield in the path of Faqr which safeguards the seeker from satanic and sensual attacks. Path of Faqr is the path of love and love demands sacrifice. Unless the seeker sacrifices his each and everything for the sake of Allah, he gains nothing. In this regard, the seeker should remember examples of sacred Companions about their sacrifice and loyalty with the Holy Prophet. These examples are the source of inspiration for every true seeker of Allah. Seeker should sacrifice his wealth, life and every possession to get the blessing of Faqr. Afterwards, he must not expect anything in exchange or worry about losing these things. The seekers, who have sacrificed everything for their spiritual guide, have attained the eternal life. They are living in the beautiful state of Divine love and spiritual intoxication. 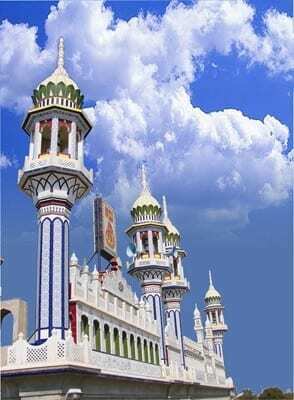 In 1997, by the spiritual command of Prophet Mohammad, Sultan Mohammad Asghar Ali had his second marriage with Kausar Bibi. She is a perfect Mystic and Rabia of her time. She got Divine knowledge from Sultan Asghar Ali and then preached it among the women. Due to her preaching, thousands of women took oath of allegiance at the sacred hand of Sultan Mohammad Asghar Ali. She has two daughters; Ayesha Bibi and Khadija Bibi. In the way of Faqr, spiritual guide grants superior spiritual succession only to one chosen disciple who excels all others. He is the one to whom Divine Trust is entrusted and is chosen for this responsibility since eternity. His innerself is perfectly pure and as clear as a mirror. He possesses unprecedented courage, wisdom and intense Divine love to travel the path of Faqr. His marvelous attributes not only distinguish him from other seekers but also exalt him to the destination of annihilation and immortality with Allah (Fana Fillah Baqa Billah) instantly. His true love and selfless services for his spiritual guide makes him beloved of spiritual guide and Allah. Subsequently, he becomes spiritual confidant of his spiritual guide who reveals all the hidden Divine secrets upon him. The transference of Divine Trust is also a secret between the lover and beloved, which occurs silently. The Sarwari Qadri spiritual guide always remains in search of such a seeker. So that he could fulfill his final obligation of transferring the Divine Trust. Sultan Mohammad Asghar Ali held the throne of Sarwari Qadri Shaikh for 23 years i.e. from 1981 till December 2003. During this period he also kept on searching for the seeker who deserved to be entrusted the treasure of Faqr. In last five years of his life he found such a capable and devoted disciple in Sultan Mohammad Najib-ur-Rehman. Sultan-ul-Ashiqeen Sultan Mohammad Najib-ur-Rehman took oath of allegiance at the hand of Sultan Mohammad Asghar Ali on April 12, 1998. They recognized each other as lover and beloved in the very first meeting. Thereafter, slavery of spiritual guide became sole purpose of Sultan Najib-ur-Rehman’s life. He devoted each moment of his life to serve his beloved guide and sacrificed his every possession for him. Due to his intense love, he annihilated in spiritual guide to such an extent that he became his complete reflection. Sultan Mohammad Asghar Ali also loved him extremely and trusted him the most. For every important responsibility, he considered Sultan Najib ur Rehman the best choice. From 1998 till 2001 he took various esoteric and exoteric trials of Sultan Najib ur Rehman. By the Grace of Allah he met each and every trial successfully. Their companionship had to cross many hurdles of jealousy as well. When Sultan Mohammad Asghar Ali had thoroughly tested his heir of Divine Trust, he intended to go for hajj. On February 28, 2001 he went to Makkah with his selected disciples. After performing hajj on March 9th they went to Madina on March 18, 2001. On 21st March, Sultan Mohammad Asghar Ali presented his beloved seeker Sultan Mohammad Najib-ur-Rehman in esteemed court of Holy Prophet. The Holy Prophet approved him as the heir of his heritage of Faqr. Hence, Sultan Mohammad Asghar Ali transferred Divine Trust to Sultan Mohammad Najib-ur-Rehman there and then, at tomb of Holy Prophet. After transferring the Divine Trust to Sultan Mohammad Najib-ur-Rehman, Sultan Mohammad Asghar Ali trained him for two years to hold the throne of Divine guidance and persuasion. On its accomplishment, he left physical world on Friday, December 26, 2003 (Dhul al-Qadah 2, 1424 Hijri). A large crowd of his devotees offered his funeral prayer at the shrine of Sultan Bahoo. Sultan Mohammad Asghar Ali is buried at right side of the grave of his spiritual guide Sultan Mohammad Abdul Aziz. Their shrine is half kilometer away from the shrine of Sultan Bahoo in District Jhang, Pakistan. For detailed study of biography of Sultan-ul-Faqr VI Sultan Mohammad Asghar Ali please read the book Sultan-ul-Faqr VI Sultan Mohammad Asghar Ali-Life and Teachings authored by Sultan-ul-Ashiqeen Sultan Mohammad Najib-ur-Rehman.